When you try to conjure the image of the best garden shovel, it may have a round or pointed tip, it could have a long handle or a short one, or it could be curved slightly on the edges, or it might be straight up and down with a sharp nose. The point is that there are so many different types of shovels out there and what may be perfect to you is inadequate to another gardener. Is there such thing as the best shovel for gardening? Is there one out there that can do all the things? Maybe, maybe not. It’s worth exploring. So, let’s go over the various shovels, look at the details of the best ones, and then see which one is going to be the best for you and your garden. 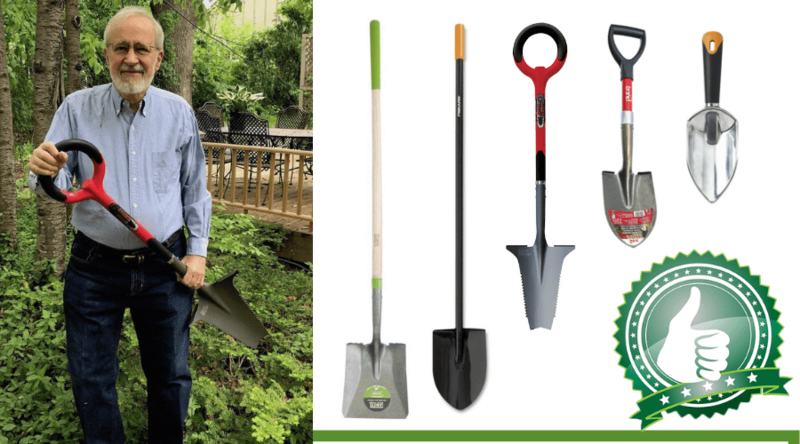 Among other key tools such as gardening gloves, a sun hat, and knee pads, every gardener needs at least one garden shovel in their shed, but you may find it’s helpful to have a couple different ones. Why would you need different shovels? Well, for different jobs. Here are the basic shovels and what they’re good for.Enter body text here. Be sure to include links. This is just a start. Make sure to use different modules, images and appropriate headings to liven up the page. This one may sound familiar – and you may already have one of these tools in your backyard. These are smaller than typical garden shovels, and they’re great for using when you need to uproot a flower or a vegetable in your garden and then transplant it to another spot. They easily fit in your hand, and you can get close to the dirt with these tools. 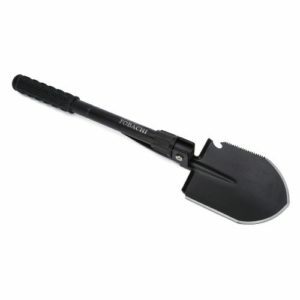 Typically, trowels have pointed tips to make it easy to cut through hard-packed soil. Some have rounded tips, though, which help with planting a new garden or the transplanting mentioned earlier. You can find these in metal or plastic, but metal is most common. You’ve heard of edging for your lawn, which involves a weed whacker, but this is a manual tool that’s meant to use in your garden. These are usually shaped with a flat blade, which allows you to cut through roots, offshoots, and plants, so you can clear up space for new plants. These are great for making a straight edge along a row. What a trench shovel does is in its name: It helps you create trenches. These garden shovels are long-handled and include a thin, narrow blade. This makes it easy for you cut a trench for irrigation. The tips are typically pointed, which helps you dig down into the ground easily, but the sides of the blade are flat, which helps keep the walls of your trench nice and neat. 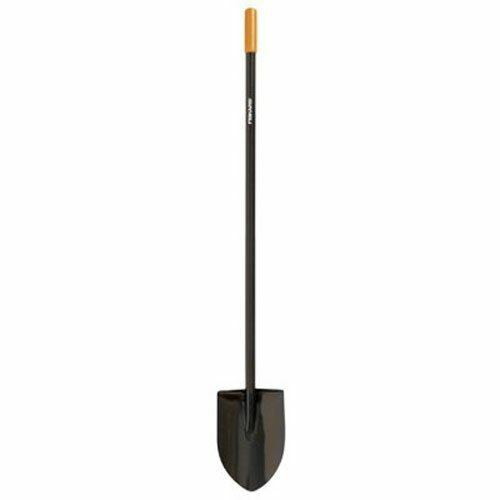 A digging shovel is probably one of the most common of these garden shovels, and it’s probably the image that comes to mind when you think of a shovel. Usually, these garden tools have a sharper tip, which aids in the digging part, and the shovel handle is centered. You can find some shovels that have serrated edges on the blade to help even more with cutting through soil. Obviously, these digging shovels are meant for digging. Another common garden shovel is the scooping shovel. These are the ones you’d use to pick up large amounts of soil, mulch, or compost and move it to another area. They’re built to be sturdy, and they usually have rounded tips and large, deep blades. A steel shovel is heavier, but you’d want it to move heavier stuff, like gravel. Lighter weight ones are available, but you’d want to use one of those to move lighter weight materials. A draining shovel is meant to be used to clear out trenches, so you’ll notice that these tools have curved edges on the blades. The point of the design is for you to move whatever is in the trench, but not disturb the walls. These shovels are multipurpose, though, and can be used for transplanting, also. They’re typically long-handled, which means you can get some leverage and dig down deep to get plants up that have long roots. Depending on what you plan to do in your garden, you may need more than one shovel. 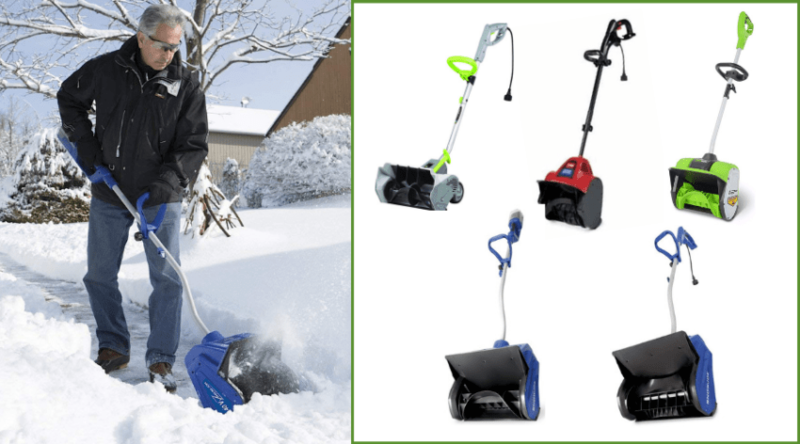 There are some features you want to look out for when choosing the best garden shovel for you. Doing back-breaking work like gardening can also do a number on your hands, wrists, arms, and shoulders. If you choose a shovel with an ergonomic handle, you’re more likely to work for a longer period of time more comfortably, avoiding some of the common aches and pains associated with gardening. If you recall cheap shovels of your past, you may remember that they were just metal blades with a long wooden pole attached. Use that long enough and you’re likely to find your hands slipping and sliding because of sweat or moisture. 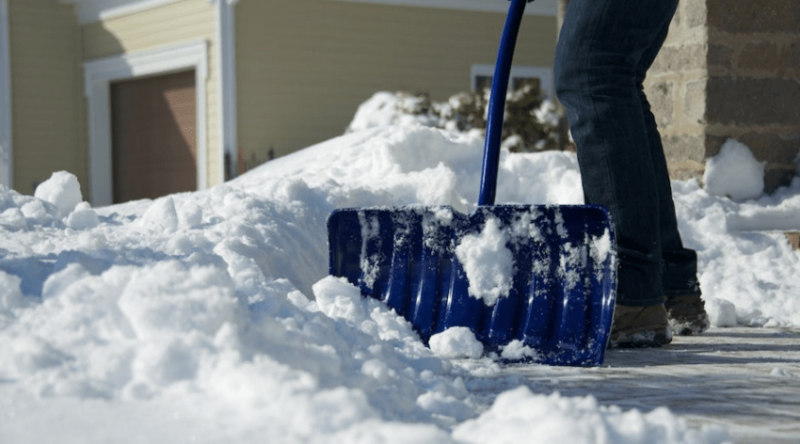 Look for a shovel that includes a rubberized cushion grip to make it more comfortable for you and help prevent those slips and slides. Some shovels are made with metals that rust when they get wet. If the garden shovel you like isn’t made of stainless steel or aluminum, you’re going to want to make sure it’s treated with a thick paint that makes it rust-resistant. Even aluminum can corrode, though, so keep that in mind when picking a shovel. You wouldn’t use a kids’ plastic shovel made for shoveling sand for sand castles for serious gardening tasks, right? 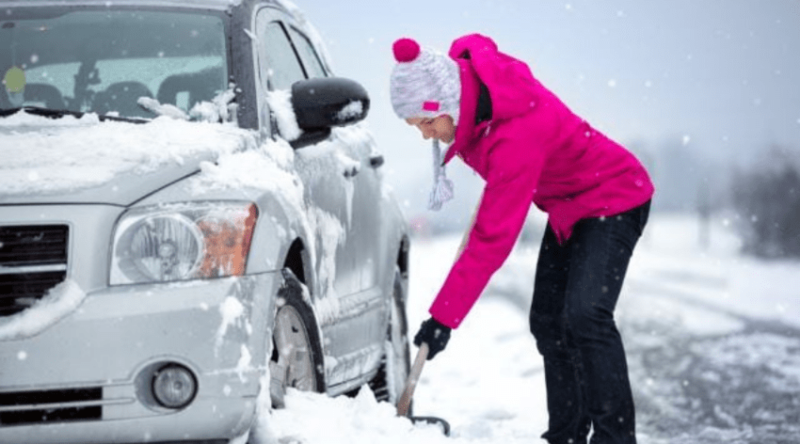 Use your best judgement on this one but be sure the shovel you’re buying is made of durable materials that will hold up under the harsh conditions you’re going to put it through. Look for steel, aluminum, and products that have been heat treated for a longer life. When you go to your local hardware store for a garden tool, you probably don’t think about the warranty, but it’s a good idea to consider it. You want your garden shovel to last as long as possible, and if something goes wrong because a seam wasn’t finished properly, or the wrong material was used, a warranty can protect your purchase. Finding the best garden shovel comes down to how you plan to use it, the materials it’s made of, and how it performs time after time. Read through the following garden shovel reviews to find the one (or two) that’s best for you and your garden. The Radius Garden Root Slayer shovel isn’t your grandma’s shovel. This beast is called “Root Slayer” for good reason. The serrated edges of the narrow blade, along with the wide v-shaped pointed tip are designed to cut through strong roots. The steel is quite strong, so you can put all kinds of pressure down, using the top of the blade to stand on and slice through roots like a hot knife through butter. Well, when it comes to thin to medium thicknesses, anyway. Thicker roots you may have a tougher time with. The O-shaped ring looks a little odd, especially if you’re more used to the D-shaped handles, but it’s designed to help you get the best grip from any angle. The Root Slayer’s ergonomic handle design makes it easy to use. It is a heavier shovel, though, so it’s going to take a little extra effort to use. 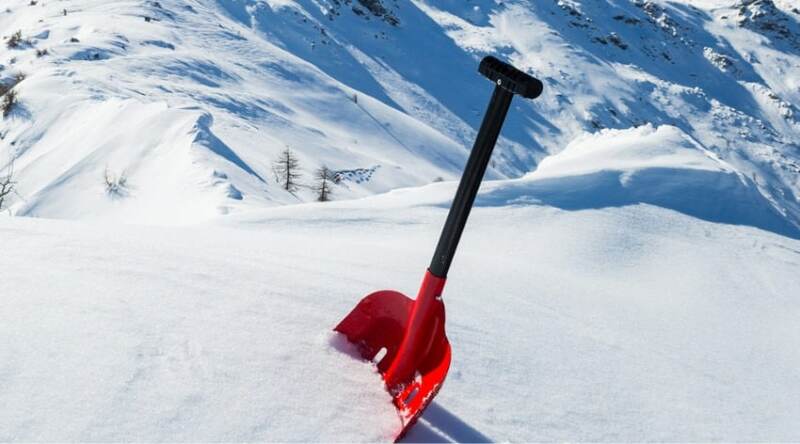 Although this seems to be a great shovel, it isn’t terribly versatile. So, you’d buy this for specific jobs – and it doesn’t come cheap. It does come with a lifetime warranty, though. 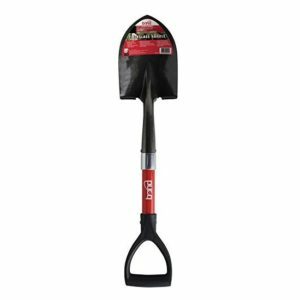 If you have a garden or yard full of plants or weeds with tough roots that needs some slaying, this could be the best garden shovel for your needs. Sometimes a standard shovel is too big for the job you have at hand, which is where the Bond Mini D Handle Shovel may be helpful. This small shovel is just a little more than 2 feet from handle to tip, so you can’t expect to do any useful digging while standing. However, if you’re in a tight space, or if you’re shorter and standard shovels are too long for you, this could work well for your needs. It could also be a good shovel for children who want to help in the garden. The D-shaped handle offers an ergonomic fit, and the plastic covering the handle gives you a non-slip grip. The pointed tip and wide blade makes this a good shovel for digging or hauling. No matter the job, it seems it would be a versatile tool. You could even pack this in a bag for use on camping trips (digging fire pits), or to keep in your vehicle (no more getting stuck in mud). This is definitely made for small to medium jobs, though. And this shovel may be too small for you, regardless. If you’re in the market for a miniature version of a standard garden shovel, this one could work for you.If you have a garden or yard full of plants or weeds with tough roots that needs some slaying, this could be the best garden shovel for your needs. Trowels are generally smaller and good for moving soil from one spot to another, but the Fiskars Big Grip Trowel ignored the general rules and made this bigger trowel. The scoop of the blade is much deeper, which allows you to move more material than with other trowels. Still, it remains lightweight, thanks to the aluminum blade. 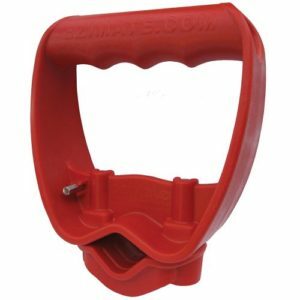 The handle is covered in a soft rubber that gives you a non-slip grip. And the handle is angled slightly, which could make it easier to use. Not everyone wants a larger trowel, though, and this could be too big for some gardeners. Another surprising feature is that the blade is thicker than most trowels, which isn’t always a good thing. It isn’t all that sharp, and the thickness of the blade makes it difficult to cut through hard-packed soil. The good news is that this comes with a lifetime warranty, so if it doesn’t hold up, your purchase is protected. 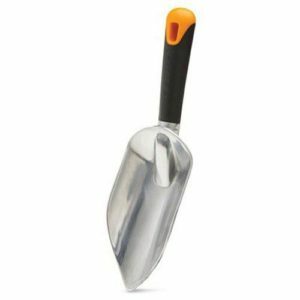 If you need a larger trowel for planting, this could be a great garden shovel for your needs. This is it. This is the shovel most think of when they think of garden shovels. 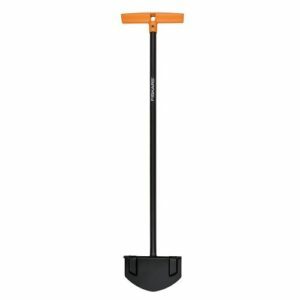 The Fiskars Long Handle Digging Shovel offers a bit more durability and strength than standard wood-handled shovels, though. Its all-steel materials provide a strong handle and blade that shouldn’t bend or break when put under pressure. Fiskars added extra large foot pads to make it even easier to get leverage when you’re digging down deep. The sharpened blade helps pierce through the toughest clay and hard-packed dirt your region can serve up. And should anything go wrong with your shovel, Fiskars will repair or replace it under its lifetime warranty. It’s a good thing, too, because the rubber handle on this shovel is probably the biggest issue with this shovel – it often comes loose, spins, or pops off. 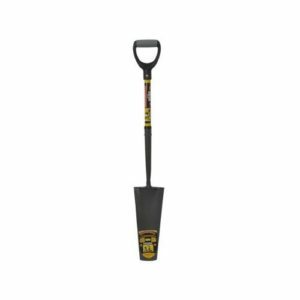 If you’re looking for the classic shovel in a sturdier material, this digging garden shovel may be ideal for you. Despite what some may tell you, your garden doesn’t require you to have every shape of garden shovel out there. 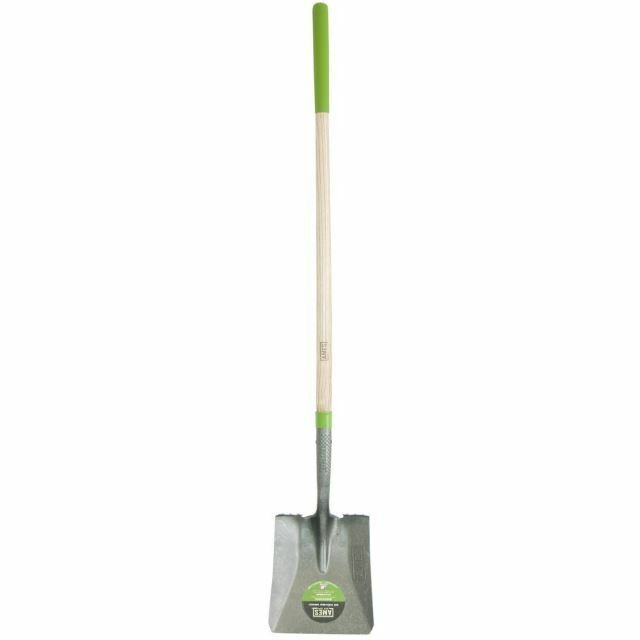 This Ames Long Handle Square Point Shovel can do a few different jobs around your yard. If it’s winter time and you deal with ice on your porch or stairs, this could do a good job of easily breaking through the ice with its squared off blade. For garden jobs, it can help you move soil, mulch, and other materials, and it can be used to edge an area. You could even use this shovel for trenching. 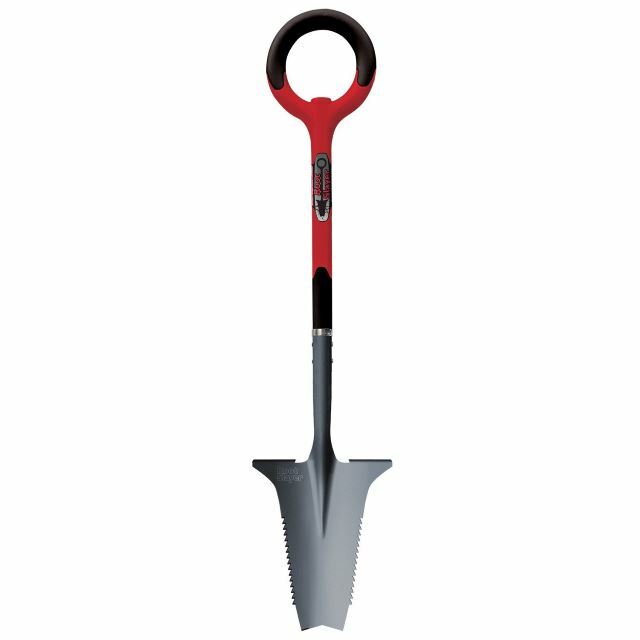 The long handle is good for tall gardeners, and the non-slip grip takes those who are shorter or simply hold their shovels differently into consideration. The grip tip goes 10 inches down the hardwood handle. Speaking of that wooden handle, it’s a hit or miss with most people. Many buyers reported that the handle came looking a bit rough, and they worried about splinters. Also, the handle has not been treated, so it’s not likely to last long without cracking. Knowing this about the handle makes the short warranty make sense. 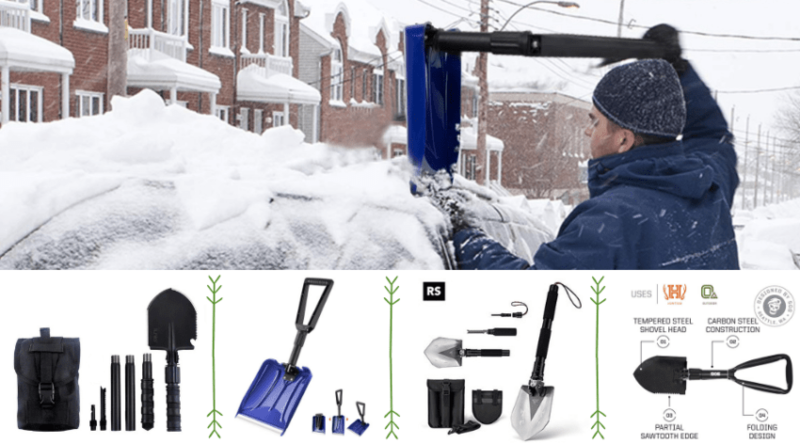 Still, it’s an affordable shovel that can do the job – just handle it with kid gloves. 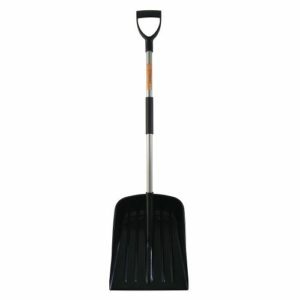 If you need a versatile shovel for all sorts of outdoor tasks, this one might do the job for you. It’s worth repeating that there are several types of garden shovels out there. You don’t have to settle for the teardrop-shaped blade and long straight handle. You can pick out a trowel, get an edger, and grab a trencher for good measure if you’d like. 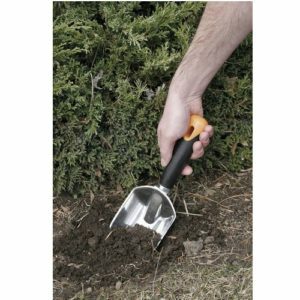 But if you’re looking for the all-around best garden shovel, you really can’t go wrong with the Fiskars Long Handle Digging Shovel (9668). This classic-looking shovel got an update from Fiskars with an all-steel design to make it tough and long-lasting. It has a pointed end on its sharpened blade that makes it useful for digging and cutting, and the foot pads are extra wide, which makes it easier for you to apply even more force with your body weight. It has a comfort grip, but it’s not the best. A lifetime warranty from Fiskars makes this an easy choice for the best garden shovel you’d probably want in your garden shed.